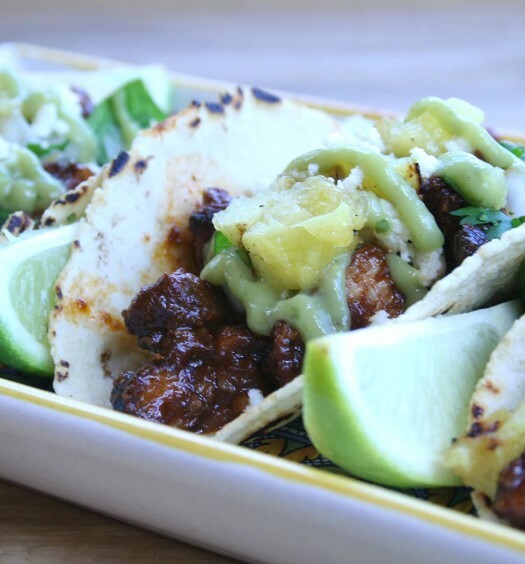 In the beginning there was taco Tuesday. And it was good. World Famous restaurant in Pacific Beach with it’s all you could eat, crunchy, fried shrimp tacos. 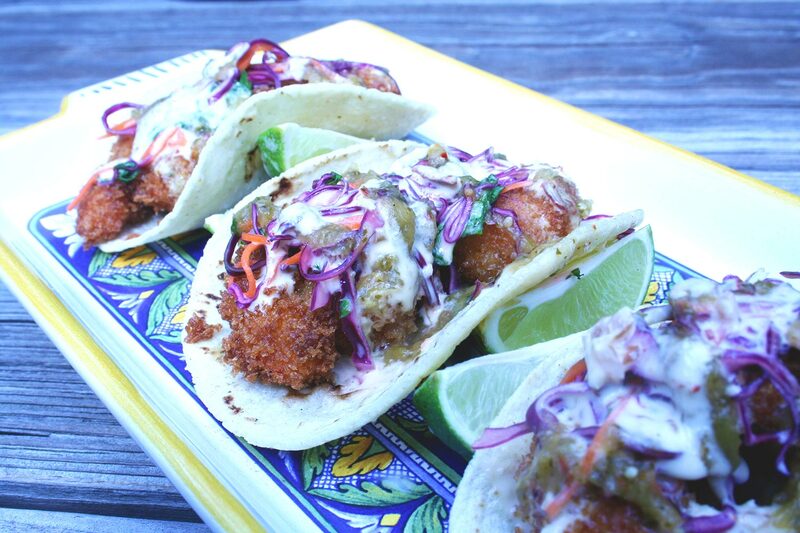 Almost as good as a fish taco. It was a Tuesday night staple. This is my version. You can use any salsa, any simple slaw, and mayo/cream sauce. This is the way I make it. It’s pretty good. 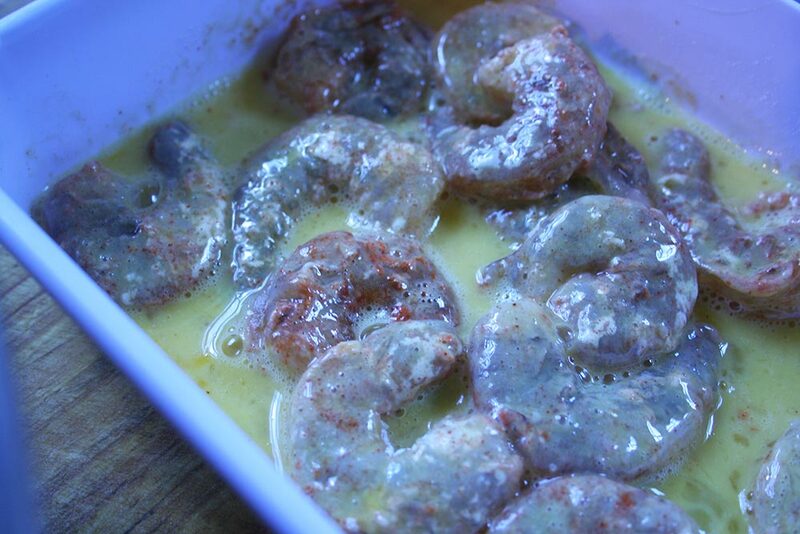 Marinate the peeled shrimp in the lime, ancho chili powder and a pinch of salt and pepper for at least 15 minutes. 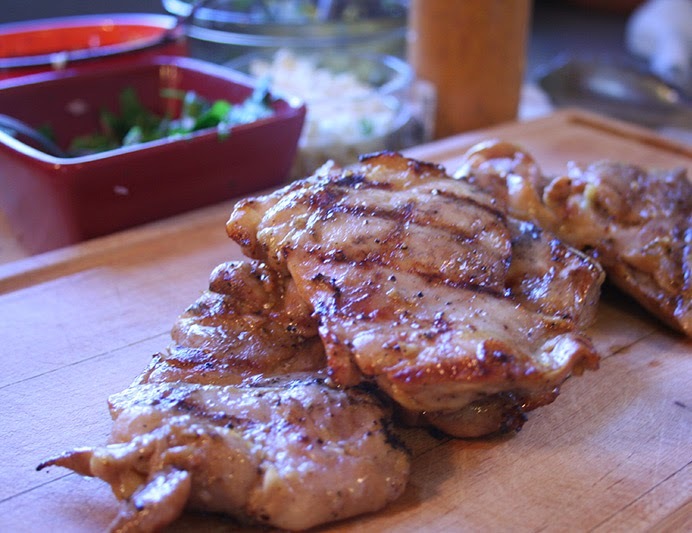 Remove from marinade and pat dry with a paper towel. Heat the 2-3 inches of vegetable oil in pan on the stove over medium high heat. 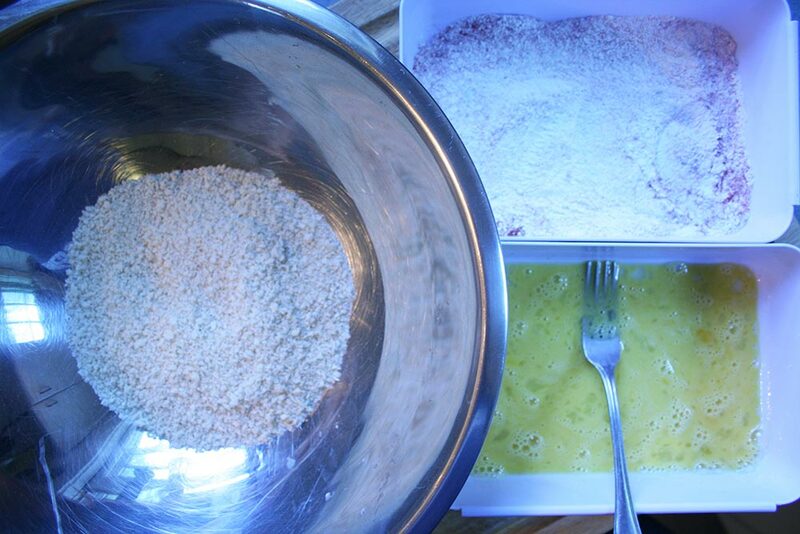 In 3 bowls, add flour, egg, and panko. 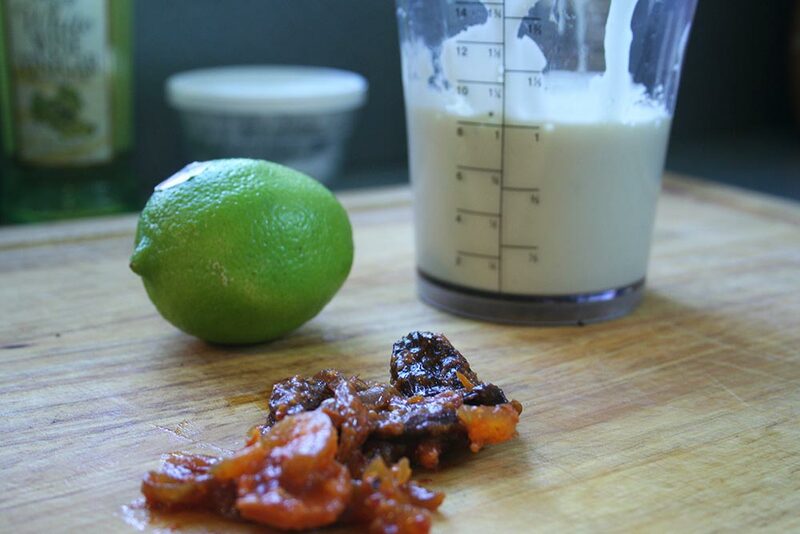 Season flour with a pinch of salt and pepper and ancho chili powder. Whisk the egg. 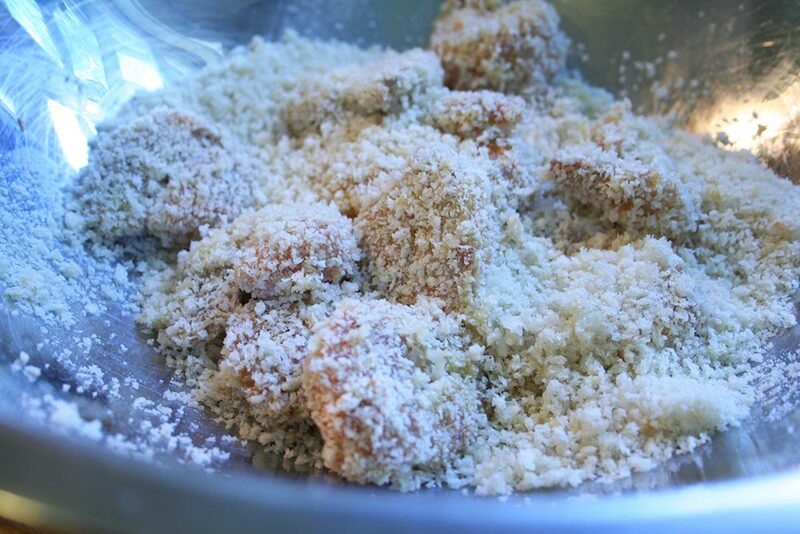 No need to season the panko. 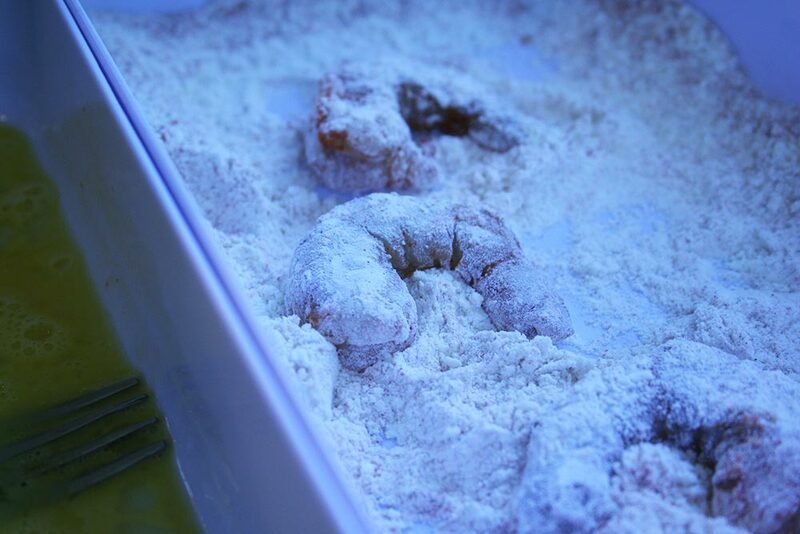 Dredge the shrimp first in flour, then egg, followed by the panko. 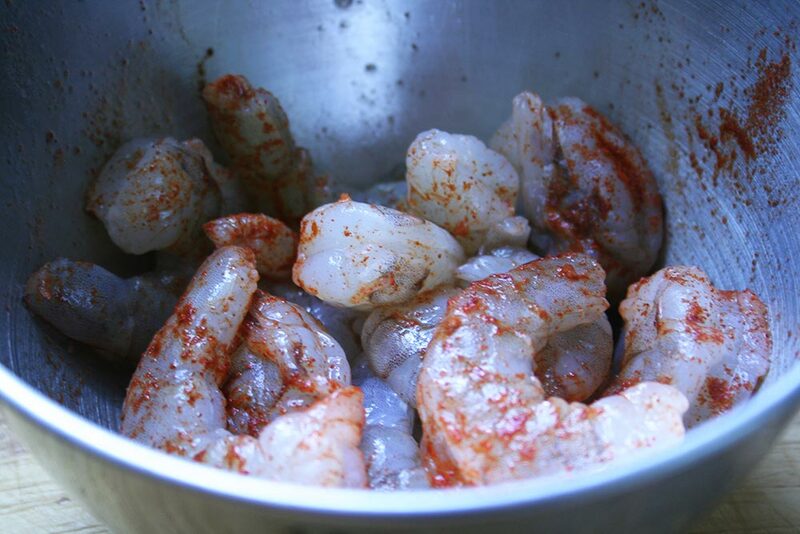 Carefully place shrimp in the hot oil and fry until golden brown. 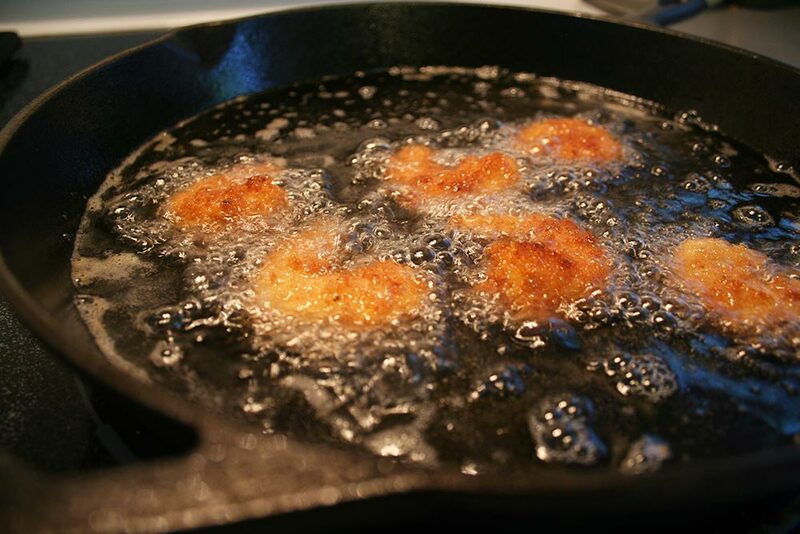 Remove shrimp from oil and place on a paper towel covered plate. 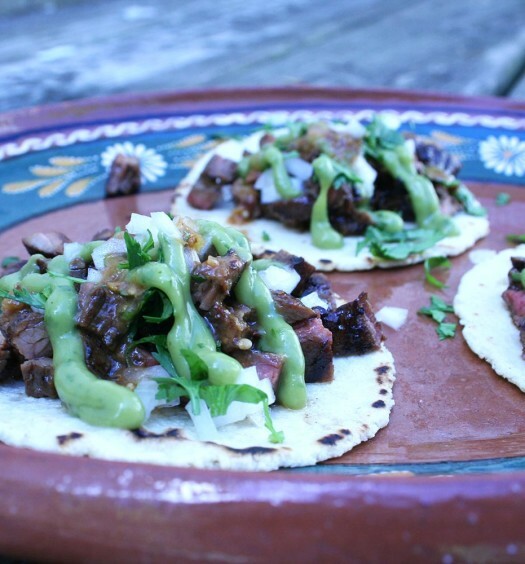 We’ve used home made tortillas here and are already pliable and warm, but if you’re using store bought, you’ll need to heat them prior to making the tacos. Heat a pan over medium heat and 1 at a time, heat the tortillas for about 30 seconds per side or until you can fold them in half without them cracking or breaking. 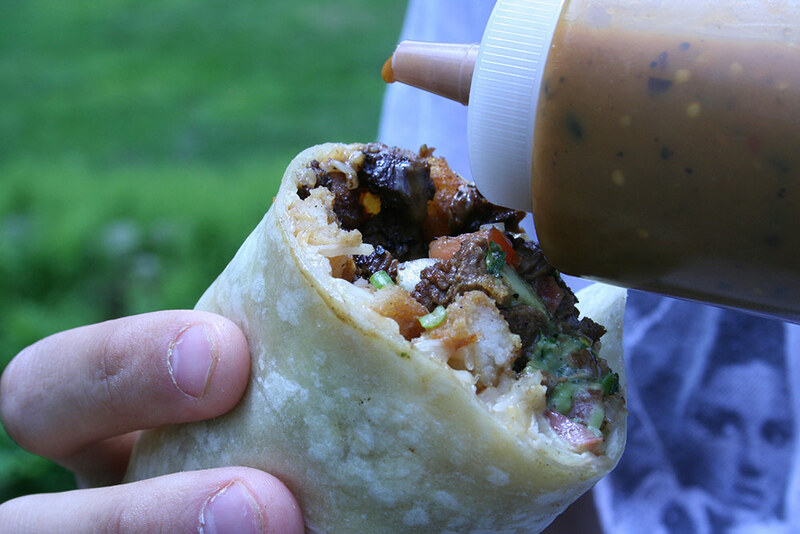 Hold the warmed tortillas in a ziplock bag or tortilla warmer until you’re ready to build your tacos. 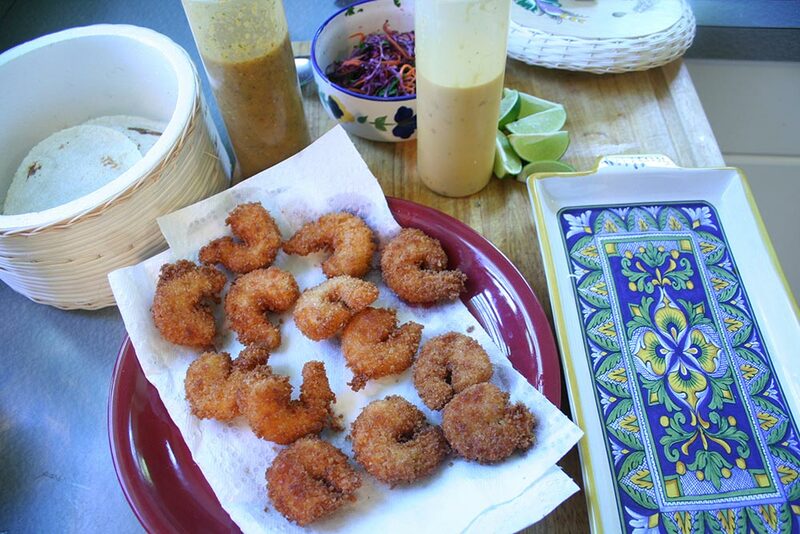 Place a few shrimp, followed by a pinch of slaw, and a bit of the aioli and your salsa of choice. Enjoy.